This abstract was presented today at the Association for Research in Vision and Opthalmology (ARVO) meetings in Seattle, Washington by Alexandra D. Butler, William D. Ferrell, Alex Woodell, Carl Atkinson, Baerbel Rohrer, Robert E. Marc and Bryan W. Jones. Purpose: Smoking is the single largest risk factor for age-related macular degeneration, aside from age. 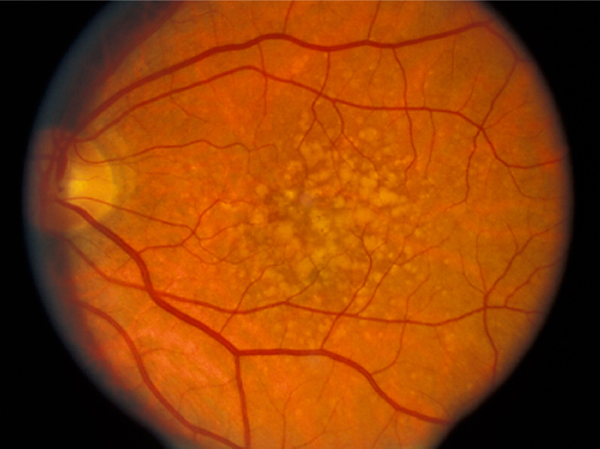 Several of the main genetic risk factors for AMD are polymorphisms occurring in complement genes involved in the alternative, classical and common terminal pathways. To better understand the metabolic impact of smoking on the retina, we used computational molecular phenotyping (CMP) and examined the effects of cigarette smoke on wild type (wt) retinas and mice in which either the alternative pathway (complement factor B, CfB) or the common terminal pathway (complement component 3, C3) was removed. Methods: Mice were exposed to either cigarette smoke or filtered air. Cigarette smoke (CS) was generated using an automated cigarette-smoking machine (Model TE-10, Teague Enterprises, Davis, CA) by burning 3R4F reference cigarettes (2.45 mg nicotine per cigarette; purchased from the Tobacco Health Research Institute, University of Kentucky, Lexington, KY). Mice were exposed to CS for 6 hours/day, 5 days/week for 6 months. Age matched room filtered air exposed mice were used as controls. Eyes were enucleated immediately post-mortem, fixed in 1% paraformaldehyde, 2.5% glutaraldehyde, dehydrated in graded methanols, embedded in eponates and histologically analyzed with CMP. Results: Alterations in retinal small molecule signatures from mice exposed to cigarette smoke were observed compared to retinas from non-smoked mice in wt, CfB and C3 knockout mice. Signal changes with arginine, glutamine and glutathione progressively increased in the retinas of smoked exposed wt, CfB and C3 knockout mice, indicating increased response profiles to cell stress. Both Müller cells and photoreceptors of wt smoked retinas demonstrated changes relative to non- smoked retinas. Conclusions: Arginine, glutamine and glutathione, amino acids known to be involved in cellular stress responses, were increased in retinal neurons and glial cells upon smoke exposure. Eliminating essential components of the complement system, a cascade required for the maintenance of the immune privilege of the eye, appears to exacerbate responses to cigarette smoke in oxidative damage response related pathways. Understanding complement-dependent alterations in the eye will aid in our understanding of AMD pathology and may open new avenues for novel treatment strategies.